Relocating to a new house is stressful enough without having to worry about the logistics of an entire move. So when it comes to the heavy-lifting (literally), leave it to the professionals — professional movers, that is. Experienced Saint-Michel, QC moving companies consist of expert movers and packers who can efficiently pack, move and assemble your Saint-Michel belongings to ensure that you get off to a good start in your new home! 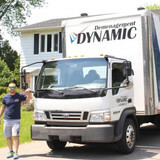 Dynamic Moving is a professional Montreal Moving Company that provides the highest quality residential and commercial moving service at competitive and 100% transparent pricing. Our Expert Movers are specially trained to handle your belongings with maximum care, using the best moving techniques and the highest quality equipment. We focus our efforts on making your moving experience with us smooth, safe and stress-free. A team of moving professionals serving the regions of Terrebonne, North Shore, and East end of Montreal. Service Pro Movers Terrebonne is a moving company that operates a fleet of specialized moving trucks in the Montreal area, dedicated to providing high-quality residential and commercial moving service. We serve the regions of Terrebonne, Repentigny, Mascouche, North Shore and East-end of Montreal. Service Pro Movers is a team of competent and experienced movers using a fleet of well-equipped moving trucks. 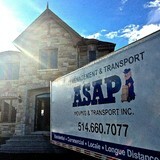 ASAP Moving & Transport Inc.
ASAP Moving and Transport specialize in professional residential and commercial moving in the Greater Montreal Area. We also have years of experience in insurance claim jobs, that require short or long term storage, and bringing clients belongings back to their original home after a disaster. The core our business model is based on providing a pleasant customer experience, therefore our clients can always expect reliable, friendly, and efficient movers to serve them. Our highly trained movers will always display proper moving techniques, and our clean trucks are always stocked with all the necessary equipment to tackle any situation in a safe manner. From the moment you first pick up the phone until the last box is placed in your new home you can count on ASAP's professionals to put you at ease. A happy client is our top priority! Residential moving services by qualified Montreal movers in Southwest, Downtown, Griffintown, Old Montreal, Plateau Mont-Royal/ Rosemont, St-Henri, and Verdun. 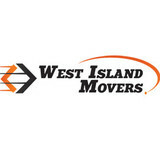 West Island Movers have been helping people move in the West Island of Montreal for over 10 years. We’re known for providing a safe and stress-free moving experience at reasonable and transparent pricing. We handle your belongings with great care, using the best moving techniques and the best equipment available on the market. Make the smart move and take advantage of our full-service residential moving services that will make your moving experience a lot less stressful for you and your family. Laval and North Shore Movers is a professional Laval Moving Company that provides a high-quality moving service at competitive rates. We service the areas of Laval and North Shore of Montreal. Our Moving professionals are trained to handle your household goods with great care, with the best kind of moving tools and techniques. Our main goal is to make your moving experience with our team safe, smooth and with minimum stress. Looking for moving boxes and supplies in Montreal? At Montreal Box Depot we sell a wide selection of moving boxes & supplies, home & apartment/condo moving kits, home staging kits, Reno kitchen packs, packing paper, packing tape, bubble wrap, moving blankets and much more. Welcome to Panneton & Panneton a professional moving & storage company located in Montreal. Panneton & Panneton was founded by Mr. Roger Panneton and his wife Suzanne. Since 1960 Mr. Roger and his wife Suzanne have proudly served Montreal and the surrounding communities always providing high quality moving services, and customer care. Our expertise makes Panneton & Panneton one of the most respected and recommended moving company in Montreal. Grâce à l'expérience et l'expertisede Déménagement et Transport SG, il sont en mesure de vous offrir un service de déménagement coordonné et planifié qui sera effectué dans les meilleurs délais, ce qui évitera de bouleverser votre emploi du temps. Que ce soit pour un déménagement de courte ou de longue distance, faites appel à Déménagement et Transport SG. D&D Discount Moving is a reliable, affordable, and easily accessible service, which offers its customers high quality moving and transportation solutions in Montréal, Québec City, Ottawa and Toronto. "Demenagement Montreal - offer home and office moving services at the best rate/quote, as well as complete storage facility in Montreal. Find the best moving company with the best deals for local and long distance moving services Demenagement Montreal to Toronto, Ottawa, Quebec. - Professionals and cheap Montreal Movers - Montreal home and business moving service - Demenagement Montreal piano movers - Montreal billiards movers - Montreal to Toronto moving service. Call-us today or get an online free moving quote - Demenagement Montreal ! Allow-us make your move easy and stress free for you! " 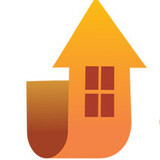 Moving services for residences, condos, houses and companies. We provide high-quality moving services in Montreal area. Welcome to FULL-SERVICE MOVING COMPANY! We provide high-quality commercial and residential relocation services at affordable prices in Montreal. Transport your belongings with our REMOVAL AND STORAGE SOLUTIONS. We offer a wide range of storage, delivery and moving services to suit your needs and budget. 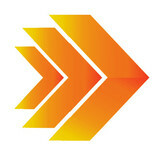 Moving RK Transport is a local company specializing in the field of transport. We are very proud of what we do. We guarantee fast and efficient service, ensuring that your goods arrive safely and on time.